WIRED BRAND LAB » Mastercard ShopThis! WIRED partnered with MasterCard to deliver a first-to-market content purchasing program—ShopThis! with MasterPass. The pilot program allowed digital edition readers to instantly buy items directly from the issue without ever leaving the page. Shopping was enabled both editorially and advertorially, on the tablet and on the WIRED Store site. 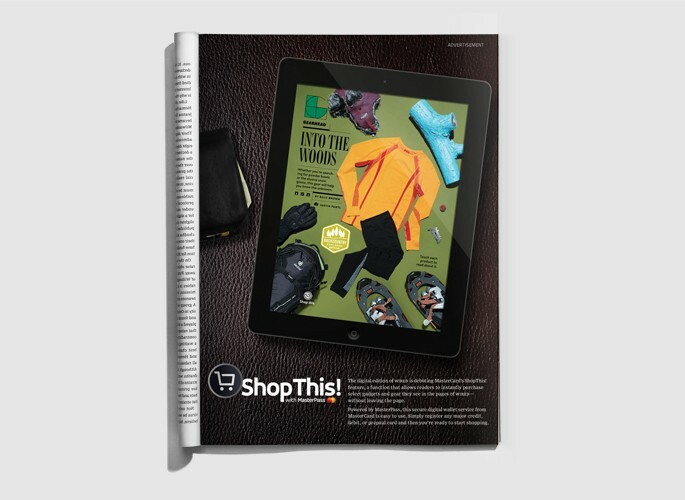 Tablet: WIRED created a dual shopping experience in the digital edition within edit’s Gadget Lab section and an advertorial gadget guide. An interactive ad unit within each issue educated users how to shop using MasterPass. 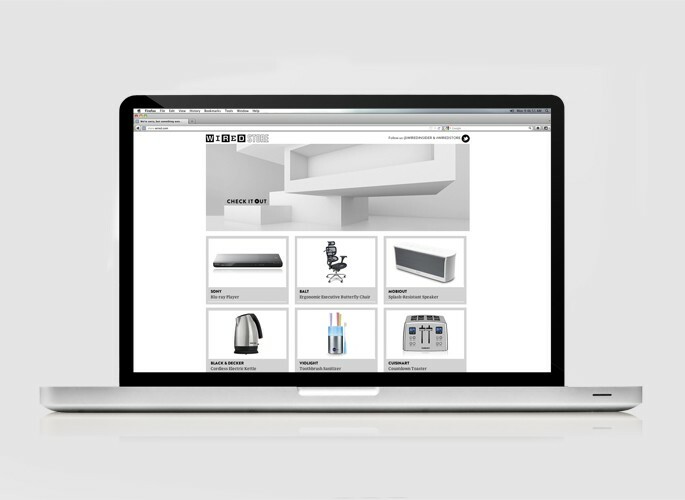 Digital: Products from the guides were featured on the WIRED Store site—allowing shoppers to shop the site using ShopThis! with MasterPass technology. Two sets of digital ad units ran across WIRED.com. One driving people to download the digital edition and the second to visit the WIRED Store site. 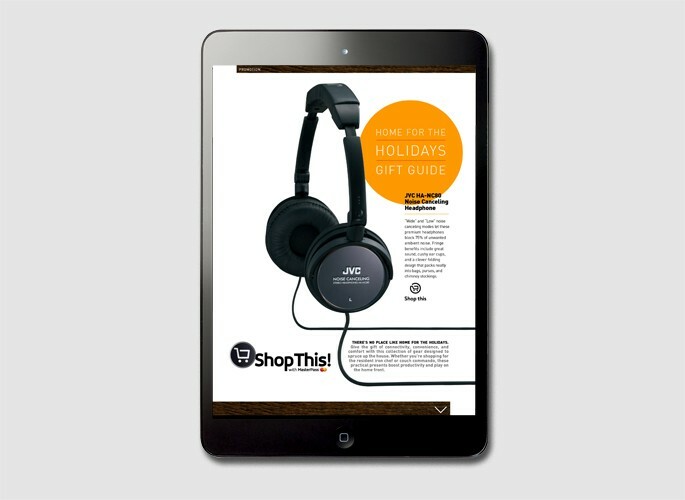 Print: In-book ads were created to generate excitement for the program and drive readers to the digital edition to shop. Promotion: A comprehensive promotional plan was executed to tout the shoppability of the digital environments. © 2014 WIRED Amplifi. All Rights Reserved.